That was the tagline for Forest Park Forever’s fifth annual I Love Forest Park 5K and Kids Fun Run, which was held Sunday, September 13. As the only sponsored run in Forest Park that directly benefits the Park’s maintenance and restoration, this year’s race featured a new, scenic route that captured the beauty and history of this local treasure. Registration began at 6:30 a.m., with Jane Holtzman of Yoga Six St. Louis leading participants in a stretching routine. As the morning dew began to fade, runners and walkers listened to announcements from Forest Park Forever President and Executive Director Lesley Hoffarth as she thanked them for their support and encouraged them to keep up their efforts to make Forest Park our community’s healthy living headquarters. 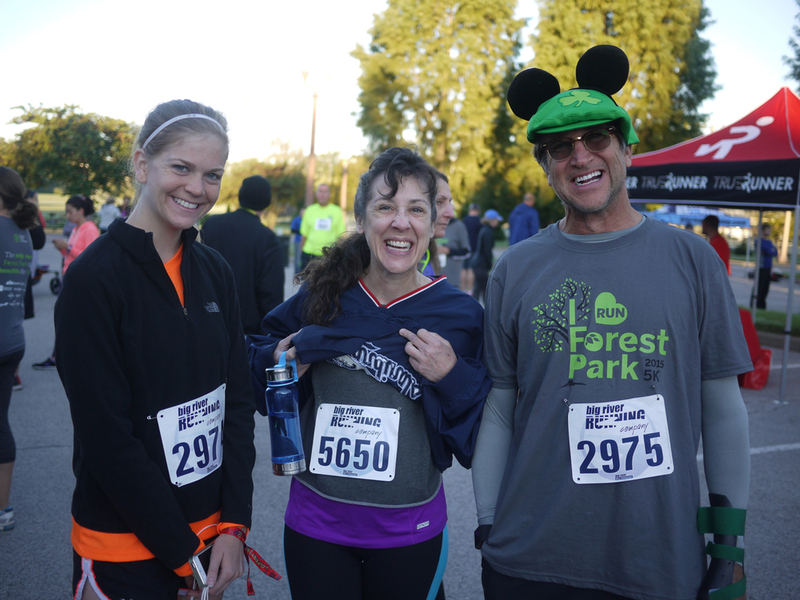 Sporting her “I Love Forest Park” t-shirt, Hoffarth beamed as she saw hundreds preparing for the 3.1-mile course. While most were decked out in traditional running gear, some participants added an extra bit of flair — donning everything from pink and green tutus to super hero flags and bandanas. When the horn sounded at 7:30 a.m., the runners were off on their new, more scenic journey. Runners passed a number of historic landmarks including Pagoda Circle, the World’s Fair Pavilion, the Boathouse and the Emerson Grand Basin. Big River Race Management helped create the new route and was instrumental in the promotion and planning of the event. 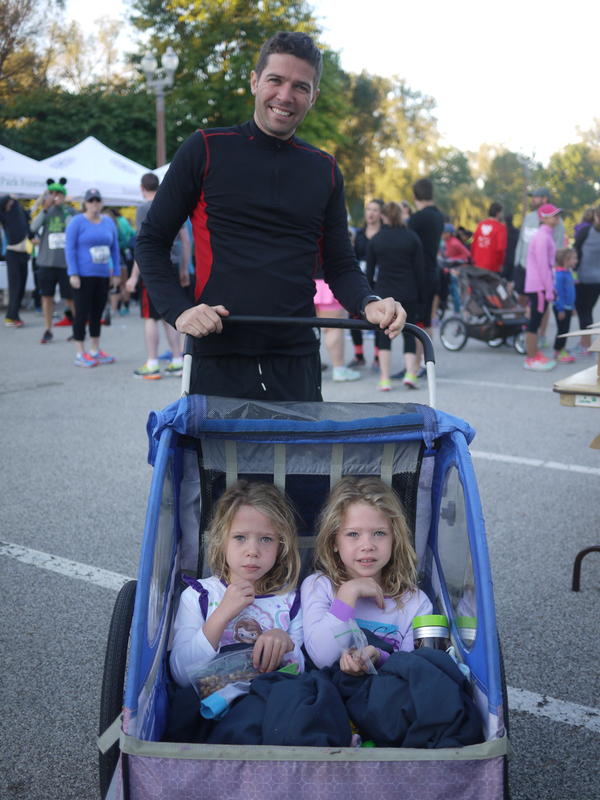 The Kids Fun Run and a post-run party, complete with music and refreshments, took place immediately after the 5K. The awards ceremony for the winning runners followed, and Hoffarth again thanked attendees for their support. To read Forest Park Forever's press release about this event, go here.